Many people live in a way that values microwave ovens over stovetops. Others don’t have the time to make a lunch or even go out for a midday meal, so they have it delivered to the office. Some risk a red light ticket to shave seconds off their commute. Therefore, it’s not surprising that many people don’t take the time to brush their teeth properly, if they do it at all. Sometimes they figure that if they skip brushing their teeth, they will get an extra five minutes to spare. But that kind of finagling comes at a cost — save time now and pay for it later with gum disease, tooth decay, and toothache. Truthfully, tooth brushing does not need to take a long time. Most dental experts agree that brushing your teeth for two minutes is enough to get the job done right. Buying a morning latte takes more time than that! And if you have children in the home, it’s more important to take those two minutes and set the proper example, so they learn to always do the same. Pay now with time, or pay later with discomfort and dental costs. What’s the science behind brushing for two minutes? Research shows that it’s the shortest effective time for removing the most plaque. Brushing for one minute (even for just ninety seconds) significantly reduces how much plaque and bacteria are removed. And although brushing for five minutes removes more plaque and bacteria, it also runs the risk of damaging your enamel or irritating your gums, making them both easier targets for the next wave of plaque and bacteria. Many electric toothbrushes have timers set for two minutes, so you don’t have to keep track. Some even alert you in 30-second intervals, so you can move to a different quadrant of your mouth and not spend too much time in one place. Another strategy is to play or hum a favorite song, one that lasts about two minutes. Let that be your brushing song. In fact, this works so well for young children that the American Dental Association offers a page on their website listing fun brushing songs. And yes, even some adults choose these songs for their own routine. You might think that two minutes is a long, boring amount of time to keep moving a brush across your teeth. However, brushing involves more than just your teeth. Sure, your teeth are where the plaque builds up, but bacteria are all throughout your mouth — on your gums, tongue, and the insides of your cheeks as well. Brushing your whole mouth helps to keep the bacteria in your mouth manageable. Remembering to brush all these parts also keeps the act of brushing less tedious. Depending on factors like your current oral health, your toothbrush, your schedule, and even whether you are right or left-handed, your routine of oral hygiene might need a little tinkering. The goal is to make it effective without being burdensome. 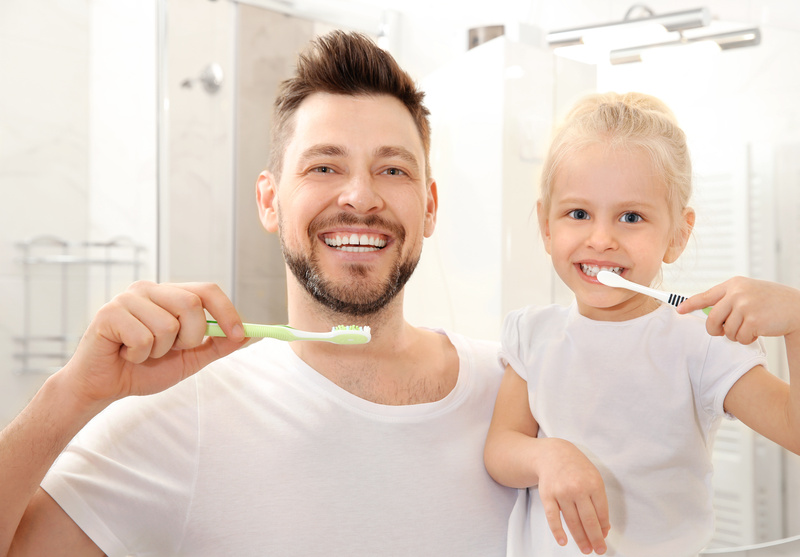 The Yuba City Dentistry Group is happy to help you find the best time and technique for brushing. If you would like to discuss brushing time or how to improve your routine, please call us or schedule an appointment online. We will help you find the time it takes for good oral health.